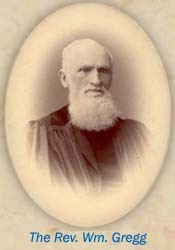 In 1846, William finished his theological studies and was Licensed by the Presbytery of Edinburgh. He requested to serve as a missionary and along with five others, including The Rev. 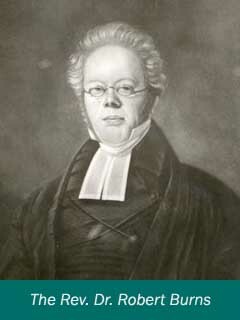 William Gregg (whose son would later publish a booklet on Rev. King) was in the first batch of missionaries sent out by the Free Church of Scotland. His mission was to Canada, and after a brief visit to Louisiana, he arrived in Toronto in November and met with the members of the Presbytery of Toronto. 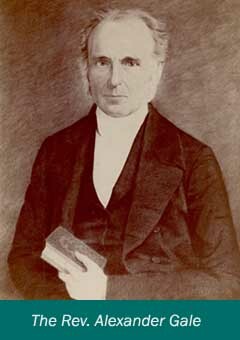 Throughout the winter of 1846/47 he preached at various points throughout the Presbytery, but in late Spring he received a letter from his wife’s family requesting his presence in settling the estate of his Father-in-law. His Father-in-law had passed away in late 1845, and as William’s wife and children had all died, he became an heir to the estate, including the slaves. In addition, William himself had a small plantation on which he had placed his own servants prior to leaving with his family for Scotland. In his memoirs, William indicates there were legal difficulties that prevented him from giving these servants their freedom, so he purchased a plantation on which they could support themselves. He had never told the Presbytery that he was a slave owner, but with the necessity of traveling to Louisiana to settle the estate, he now had to inform them. After discussion, he informed the members that it was his intention to return to Louisiana, settle matters with the estate and bring those slaves in his possession to freedom in Canada. In October 1847, William arrived in Louisiana and began the business of settling his father-in-law’s estate. He kept his intentions to liberate his slaves to himself until just before leaving for Canada. In late April 1848, he made preparations to return to Canada and on the 5th of May, amidst a crowd of spectators, William and his 15 slaves left Louisiana and took a steam boat north to Cincinnati. From Cincinnati they took a boat along the canal to Toledo and from there to William’s brother’s farm. Here he left his now liberated servants until he could make the proper arrangements for their settlement in Canada. The Spring of 1848 was a turning point in William’s life. From this point onwards, he became devoted to the welfare of freed and fugitive slaves. This path was by no means easy, but William stood fast and in a few short years his mission became nationally and internationally known.